C&C Sutlery carries a full line of CS and US Buckles and Belt Plates made in USA that are exact copies of the originals. M1855 US issue enlisted belt. This belt fits all the one piece buckles and belt plates. Select Black or Russet leather. M1855 US issue enlisted belt made in USA of high quality American leather. This belt fits all the one piece buckles and belt plates. Select Black or Russet leather. The brass Belt Keeper was commonly utilized on mid to late war M1855 Enlisted waist belts for Federals. They began to appear by early 1863 to replace the leather loop keeper that had been the standard prior to the war. The keeper has prongs to fasten to the leather waist belt. If you purchase the leather waist belt at the same time C&C Sutlery will install the keeper at no charge. M1855 US issue belt with Brass Keeper installed. The brass keepers were commonly utilized on mid to late war M1855 Enlisted waist belts for Federals. They began to appear by early 1863 to replace the leather loop keeper that had been the standard prior to the war. The keeper has prongs to fasten to the leather waist belt. This belt fits all the one piece buckles and belt plates. Select Black or Russet leather color. Belt Imported. Keeper proudly Made in USA. M1855 US issue belt made in USA of high quality American leather with Brass Keeper installed. 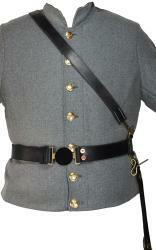 The brass keepers were commonly utilized on mid to late war M1855 Enlisted waist belts for Federals. They began to appear by early 1863 to replace the leather loop keeper that had been the standard prior to the war. The keeper has prongs to fasten to the leather waist belt. This belt fits all the one piece buckles and belt plates. Select Black or Russet leather color. This CS Oval Lead Filled Belt Plate was standard Civil War issue for the the Confederate soldier. The one piece belt plate buckle is lead filled stamped sheet brass with the brass hooks on the back embedded in the lead. It has three prong hooks for attaching to the belt. It is an exact copy of originals with great attention to detail. Click on image for larger pictures. This US Oval Lead Filled Belt Plate was the standard, mid-war issue for Union soldiers. The one piece oval belt plate is lead filled stamped sheet brass with the brass hooks on the back embedded in the lead. It has three prong hooks for attaching to the belt. The one piece Oval Belt Plate is solid Cast Brass with cast brass hooks on the back. It has three brass prong hooks for attaching to the belt. It is an exact copy of originals, circa 1861 - 1865, with great attention to detail. This Puppy Paw Belt Plate was patterned in 1839 and was used mainly from 1857 to 1863. Stamped sheet brass, lead filled with brass "paws" embedded in the lead for attaching to the belt, per the original design. Exact copy of originals. This M1839 Oval Lead Filled Belt Plate was used by infantry soldiers through about 1861. The one piece oval belt plate is lead filled stamped sheet brass with the brass hooks on the back embedded in the lead. It has two prong hooks for attaching to the belt. The M1839 belt plate measures approximately 1 5/8 inches x 2 3/4 inches. It is an exact copy of originals, circa 1861-1865, with great attention to detail. The one piece Oval Belt Plate is lead filled stamped sheet brass with the brass hooks on the back embedded in the lead. It has three prong hooks for attaching to the belt. It is an exact copy of originals, circa 1850, with great attention to detail. The Sons of Veterans Reserve (SVR) is the ceremonial uniformed military component of the Sons of Union Veterans of the Civil War SUVCW). SVR units participate in Civil War related ceremonies, parades, living history programs, and re-enactments. This 1-piece Belt Plate is solid cast brass and is appropriate for the Confederate enlisted soldier. It is copied from the original, circa 1861-1865, with particular attention to detail. It has three brass prongs for attaching to the belt. Click on the picture for larger pictures. This 1-piece Belt Plate is solid cast brass. It is copied from the original with particular attention to detail, circa 1861-1865. It has three brass prongs for attaching to the belt. This 1-piece Belt Plate is solid cast brass. It is copied from the original with particular attention to detail. It has three brass prongs for attaching to the belt. This 1-piece Belt Plate is solid cast brass. It is copied from the original with particular attention to detail, circa 1840. It has three brass prongs for attaching to the belt. This NCO Belt is made from high quality American leather. 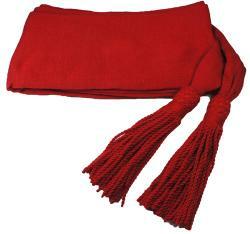 This belt is made to fit any 2-Piece Buckle or Spoon & Wreath Buckle and NO STITCHING is required to affix the Buckle. Brass hook makes this belt adjustable for many sizes. 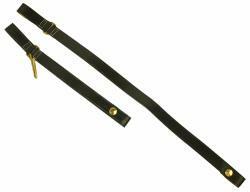 The NCO Belt is also appropriate for officers where a full sword belt is not applicable. The belt is available in Black or Russet leather. This 2-Piece Belt Plate is solid cast brass. It is copied from the original with particular attention to detail. This belt plate is for use with the 1.75 inch NCO / Officer belt or the 1.75 inch Saber / Sword Belt. If purchased with the belt C&C Sutlery will install the belt plate at no additional charge. Click on the picture for additional, larger pictures. This 2-Piece Belt Plate is solid cast brass with a one-piece applied nickle silver wreath. It is copied from the original with particular attention to detail. This belt plate was worn by both Confederate and Union Officers during the Civil War. General J.E.B. Stuart wore this belt plate with his uniform. Per the Revised US Army Regulations of 1861: "1513. For all Officers and Enlisted Men-gilt, rectangular, two inches wide a raised bright rim; a silver wreath of laurel encircling the "Arms of the United States;" eagle, shield. Scroll, edge of cloud and ray bright. The motto, "E Pluribus Unum," in silver letters, upon the scroll; stars also of silver; according to pattern." This belt plate is for use with the 1 5/8 inch NCO / Officer belt or the 1 5/8 inch Saber / Sword Belt. If purchased with the belt C&C Sutlery will install the belt plate at no additional charge. This 2-Piece Belt Plate is solid cast brass. It is copied from the original, circa 1857, with particular attention to detail. This two piece buckle is solid cast brass. It is copied from the original with particular attention to detail. The buckle shows Minerva with mining and agriculture symbols and "EUREKA". It was used by officers in California units. This buckle is for use with the 1 5/8 inch NCO / Officer Belt or the 1 5/8 inch Saber / Sword Belt. If purchased with the belt we will install the buckle at no additional charge. This two piece buckle is solid cast brass. It is copied from the original with particular attention to detail. This two piece "spoon & wreath" buckle is solid cast brass. It is copied from the original, circa 1861-1865, with particular attention to detail. This two piece "spoon & wreath" buckle is solid cast brass. It is copied from the original with particular attention to detail. The brass two-piece British Enfield Snake Buckle was used by both the Union and Confederate soldier during the Civil War. The correct belt color for both Union and Confederate is black leather. This buckle is for use with the 1.75 inch NCO / Officer belt or the 1.75 inch Saber / Sword Belt. If purchased with the belt we will install the buckle at no additional charge. This Roller Buckle Belt is made of quality leather with a Japanned black roller buckle. The belt is 1 7/8 inches wide. Available in black leather only. The one piece buckle is solid cast brass. It is copied from the original, circa 1861-1865, with particular attention to detail. This style was worn by Confederate soldiers. The 'tongue' style frame buckle refers to the class of Confederate frame buckles made with some form of movable tongue. This buckle will fit a 1 3/4" wide belt. The one piece buckle is solid cast brass. It is copied from the original, circa 1861-1865, with particular attention to detail. This style was worn by Confederate soldiers. The 'standard' style frame buckle refers to the class of Confederate frame buckles made with integral raised hooks and a flat back. This buckle will fit a 2" wide belt. This Brass Georgia Frame Buckle is a close copy of an original. It measures approximately 2 1/4 inches wide. Select Black or Russet leather belt. 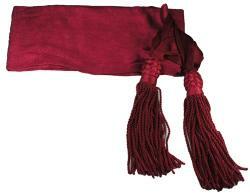 This 1 3/4 inch Indian War Belt is made from high quality American leather. This belt is made to fit any 2-Piece Buckle and NO STITCHING is required to affix the Buckle. Brass hook makes this belt adjustable for many sizes. The belt is available in Black leather. The 2-Piece Buckle is NOT included but available for an additional charge. If the Buckle is purchased with the belt, we will install the buckle at no extra charge. This two piece buckle is solid cast brass. It is copied from the original, circa 1874, with particular attention to detail. This buckle is for use with the 1.75" NCO / Officer belt or the 1.75" Saber / Sword Belt. If purchased with the belt we will install the buckle at no additional charge. Stamped sheet brass, 100% lead-free pewter filled US or CS Oval Buckle for use with modern day belts. The front of the buckle is a replica of the original. The buckle has a loop on the back for belt attachment.